Notes: Thanks to Ron Gross and ShelbyHistory.com for info. The address of the Packard Proving Grounds is 49965 Van Dyke Ave. , Shelby Township, MI 48317 The person to contact for tours or events including weddings is Mary-Anne Demo maryanne@packardevents. org (586)943-5785 or fax at (586)933-2557 The information provided says that it's on 23 mile road but the entrance is actually right off of Van Dyke south of 23 Mile Road. I attended a Shelby Club event as a member in the summer of 1983. Several Cobras a couple GT40's and a host of Shelby's, bosses, and mustangs ran flat out on the old track. It was the original concrete surface and was in amazing shape. A very fast track with gentle transitions and excellent progressive banking. guard rails were low and inadequate. In the high banking a 69 Shelby GT500 threw a couple rods at speed due to oil starvation from the G forces. I have pictures available. i just randomly found this site and i''ve been on here for about 3 hours now browsing, as far as the proving grounds go, i work for reimer floors which has the contract for all the pulte homesites and in 2007 we finished the last one, i think there is about 250 homes or something like that. at least they left the water tower and the lodge at least it was still there last time i drove by. sad sad sad. 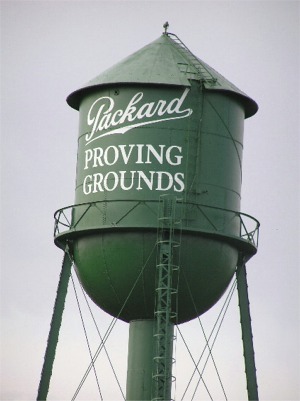 Just a note of info:The proving grounds opened June 14th, 1928. At least on exhibition race was run here and Leon Duray ran a 148. 17 mph lap here in a supercharged, FWD Miller Indianapolis car. 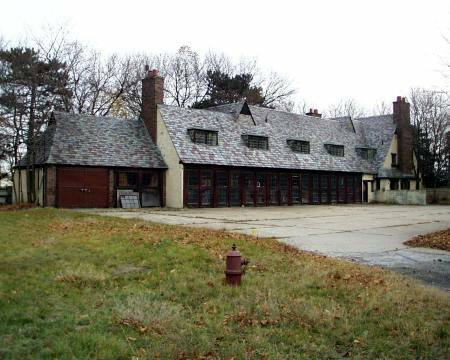 The property was purchased by Ford after Packard went out of business. You can now add this track to your DEMOLISHED list. The track was torn out and most of it is now the site of new homes, or homes under construction. A 2. 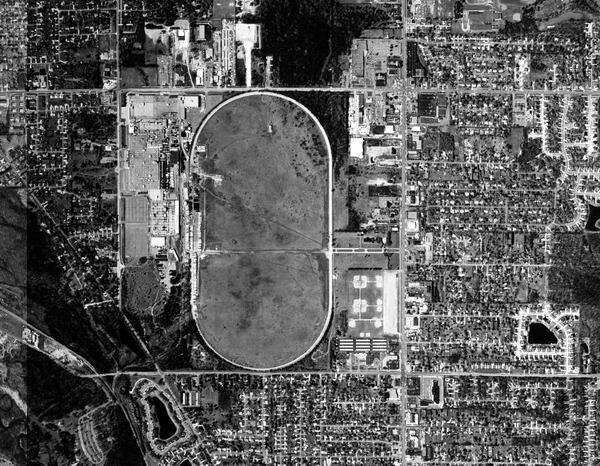 5 mile concrete oval built by the Packard Motor Company as a proving ground in Utica, Michigan, in 1928. It held at least one exhibition race that year. 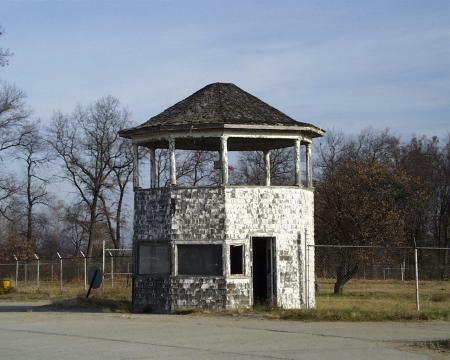 Located between 22 and 23 mile roads, it was bought by the Ford Motor Company after Packard went bust. During the 80s,Tracy Performance used to hold an All Corvette Weekend over Labor Day at this location. One of the weekends events was called a parade,where we were allowed on the track. Suffice it to say,temptation got the best of most participants. I got up to 100-110 mph and guys were blowing by me like I had my foot on the brake. All this despite precautions of the organizers and the fact that Ford had stacked steel storage crates on the west side of the track blocking all but one narrow lane,requiring everyone to get responsible really quick and defile to one lane. It wasnt long afterward Ford decided their property was not the place for a Chevy event and told Tracy hed have to go elsewhere. It was fun while it lasted. Ok, so Im very confused. 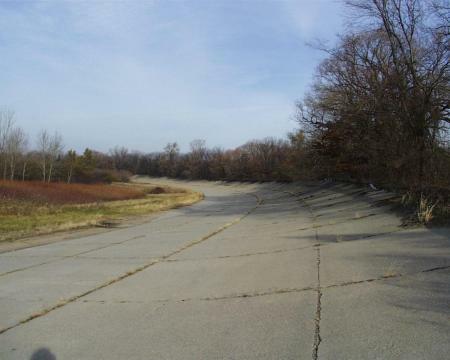 Detroit seems to be screaming out for a track and the Packard Proving grounds seems dormant and waiting. Would somebody please get after it. How do you contact whealthy people into this sport. The fairgrounds guy, whats his name. Utica is like the bastion of nascar fan is it not? God if I only had money. Sean Fitz. Packard Proving Grounds keeps calling back auto lover Utica man pays a visit to track site every day February 13, 2003 BY RODNEY THRASH FREE PRESS STAFF WRITER The Packard Proving Grounds is Carl Altzs lifeline. Every day -- even in subfreezing temperatures -- Altz, 93, drives 2 1/2 miles from his boyhood home on Cass Avenue in Utica to the Proving Grounds on Van Dyke in Shelby Township. Tuco, the family dog, is in tow. Always. Together, they survey the remnants of the 560-acre site. So much of his life -- four decades worth -- was defined there. 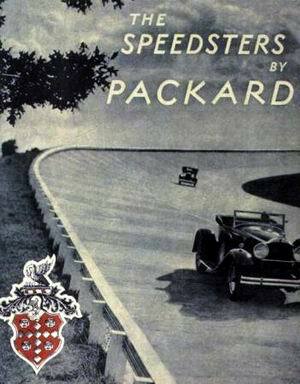 During the summer of 1926, when he was just 16, Altz helped build the 2 1/2-mile, 55-foot-wide concrete test track for Packard Motor Car Co. 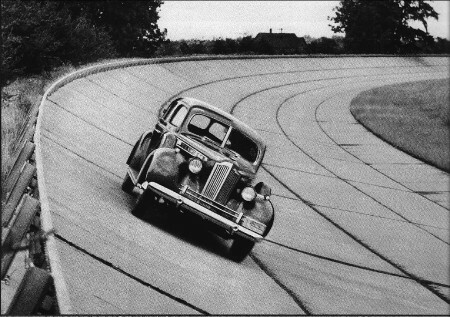 In 1928, the oval-shaped track was touted as the worlds fastest speedway, according to the Shelby Township Historical Committees Web site, www. shelbyhistory. com. We all thought it would be bigger than Indianapolis, Altz said, referring to the Indianapolis Motor Speedway used for the annual Indy 500 race. By the winter of 1926, Altz had quit and moved to Florida. But eight years later, he was back in Michigan -- and at Packard. He earned 62 cents an hour to test the durability of Packard, Chrysler, General Motors and Hudsonconcept cars. During World War II, Altz and other Packard employees also tested military vehicles. Altz worked the afternoon shift: 4 p. m.
-midnight. We blew a lot of tires, he said. We had big ones, little ones -- we tested everything. Altz quit in 1956, when Packard auto sales -- 13,000 -- were at their lowest and just two years before Packard went out of business. He retired from the Chrysler plant in Highland Park in 1972, but his allegiance to Packard never wavered. Altz keeps black-and-white photos and other Packard mementos throughout his home. And, of course, he and Tuco make their daily trek to the Proving Grounds to reminisce. It seems like home, Altz said when asked why he returns so often. Proving Grounds manager Jon Ottman added: Hes a big kid out there. Its his fountain of youth. He has a million stories to tell, and we want to record them all. The Proving Grounds, long neglected and overrun with brush and trees, is in the midst of restoration. Altzs love of automobiles rubbed off on his children. Two sons, one daughter and one son-in-law work for Ford; two more sons work for Chrysler, said Altzs wife, Theresa Altz. SHELBY TOWNSHIP: Old proving grounds get an overhaul Ford donates land that will become new recreation area November 6, 2003 BY CHRISTY ARBOSCELLO FREE PRESS STAFF WRITER The former Packard Proving Grounds have been nestled in Shelby Township since the late 1920s when automobiles raced the property during test drives. Now the township owns 31 acres of that land thanks to a donation by the Ford Motor Land Development Corp. Shelby Township trustees formally approved the donation of the land, worth about $3 million, plus an additional $250,000 contribution, at its Oct. 21 meeting. The vacant land parcel, at 23 Mile Road west of Van Dyke Road, is to be transformed into a recreation area. Five baseball diamonds, two soccer fields, trails, parkland, a paved parking lot and possibly a pavilion are scheduled for completion in the spring. The developments will add to the existing 4. 1-acre lake on the property that the township already owns. That lake will function as a retention pond to collect storm water. It will be a premium recreation facility, Shelby Township Supervisor Ralph Maccarone said. The project came about after the township lost the use of 16 baseball diamonds that were on other Ford Motor Land property nearby called Ford Field. That land is being redeveloped into new homes, said Joe Youngblood, assistant director of parks and recreation for Shelby Township. Ford Land had let residents use its diamonds for about 20 years without charge. That area, off Van Dyke Road between 22 and 23 Mile roads, was heavily used by residents, including the Shelby Baseball and Softball Club. Losing the 16 diamonds is going to be very tough for the baseball and softball club, Youngblood said. But the quality of the new facility should ease that pain, he said. Tom Wysocki is the president of the Shelby Baseball and Softball Club that consists of about 1,000 players from age 5 to 15 on more than 70 coed teams. Wysockisaid parents and players are going to miss the convenience of having all the diamonds in one location, but the club appreciates that there will be replacement diamonds. Eight of the older diamonds are nolonger usable since roads were laid for condominiums and houses, but residents will be able to use the others until spring, Youngblood said. When township officials heard about the loss of the 16 baseball fields,they decided to seek other land for sports activities. Then Ford told the community about the gift. Of course, were very grateful to Ford Motor Land, Maccarone said. We didnt have to convince them. They offered. Ford Land spokeswoman Angie Kozleski said, We are very pleased to donate this land to the township to be used for parks and recreation. It was really important to us that were able to return it to a productive use where the community would benefit. Once the offer rolled in, the planning began, Maccarone said. The transition of this property from manufacturing to other uses has been in the works for over four years, he said. The township is searching for more land to cater to the increasing demands for soccer and baseball playing areas. Among other things, officials are considering expanding River Bends Park. The Packard Motor Car Co. used the Shelby Township land as a testing facility for cars and parts from late 1927 until 1956. In 1962, Ford Motor Co.
bought the land and used it for a trim plant until the mid-1990s. 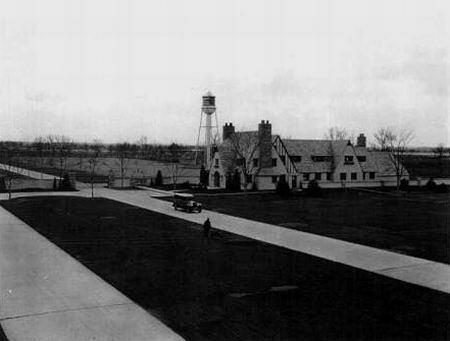 The Packard Proving Grounds spanned 337 acres. Since July 2002 Ford Land has sold 175acres for $18 million to Grand/Sakwa Properties Inc. ,a Farmington Hills-based developer, and donated 14 acres to the Packard Motor Car Foundation for historical preservation. Another 175 acres on Van Dyke Road will host the largest single-housing project ever in Shelby Township, Maccarone said. The remainder of the land is held for commercial retail, offices, light manufacturing and more, Kozleski said. Ford Land is owned by Ford Motor Co. and provides real estate, construction and facility management services to the company and outside clients.